Thomaston Public Library in Thomaston, Maine recently received their library telescope and training from Cornerstones of Science. A series of interesting events led up to them taking delivery of the telescope that included a retiring Cornerstones board member with a passion for the library telescope program, and the library’s strong STEM engagement for their community. At the end of 2018, Rudi Graf, a Cornerstones Board Member from 2014-2018, decided to retire from the board due to a health issue. The staff and board felt that they wanted to do something special to honor Rudi and the work he put into the organization. 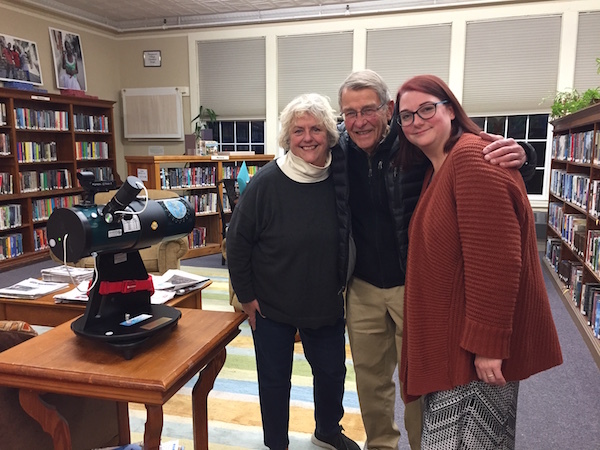 Donating a library telescope to a deserving library seemed to be the perfect idea, since the program was much beloved by Rudi, previous owner of The Science Source, a science kit development and distribution company in Waldoboro, Maine. 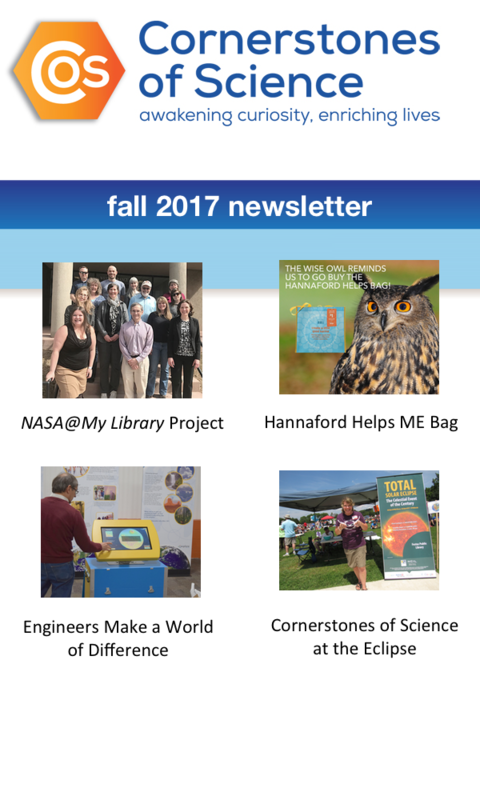 At the same time, Cornerstones staff noticed a number of STEM initiatives that the Thomaston Public Library initiated in the past year. One such initiative was the impressive 40 Days of Summer program where they not only borrowed every Cornerstones Science Trunk to use for programming, but they held numerous other activities to help the community’s youth stay engaged throughout the summer. A small dedication ceremony took place at the library on November 15 with Rudi Graff in attendance along with CoS staff, library staff, and library patrons.